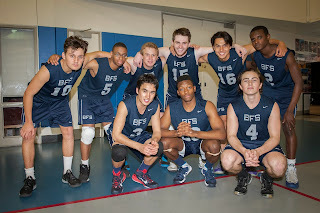 On Monday the BFS Boys Varsity Volleyball Team defeated Berkeley Carroll 3-0 (25-8, 25-12, 25-9) in the ACIS Semifinals at St. Francis College. Today the team kept its focus and determination. It was a great team effort in preparation to the finals on Wednesday. In their last semis as seniors, Thomas C., Lucas M., and Julien B. stepped up their offense combining for 26 kills, while fellow senior Griffin E. continued showing his great decision making, while distributing 21 assists. Sophomore Philip C. and junior Chris B. added 11 kills and 5 blocks. Junior Tyler V. added 3 kills and 2 aces, while sophomore Kamal G. and freshman Ernest M. continue showing improvement and consistent skills both defensively and offensively. Overall a great way to start the playoff run. The team improved to 14-0 and has not lost a set all season. Thats 42 straights sets. We hope to see you at Wednesday’s championship game. Blue Pride!! 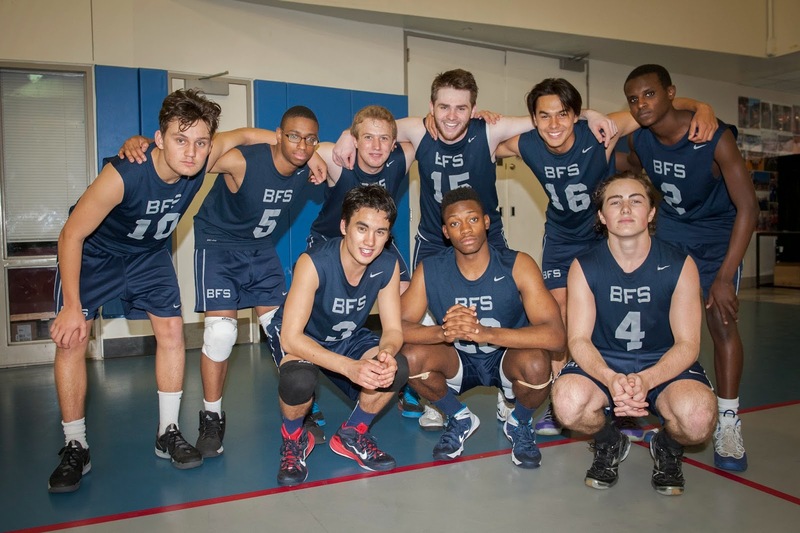 On Wednesday the BFS Boys Varsity Volleyball Team lost to Packer 3-0 (25-23, 25-22, 25-21) in the ACIS Finals at St. Francis College. The TEAM competed. The magical season is over. Thanks to all the players, coaches, managers for a phenomenal season. And thanks goes out to all of our fans that came out to today’s final game. Blue Pride Runs Deep, Friends Forever!! Wednesday’s Final Game was a great testimony of the team’s growth, maturity, and love for the sport of volleyball. The tam had a tough season ending defeat against a very strong and competitive Packer Team. Our team also lost senior leader Thomas C. to an ankle injury during the second set. 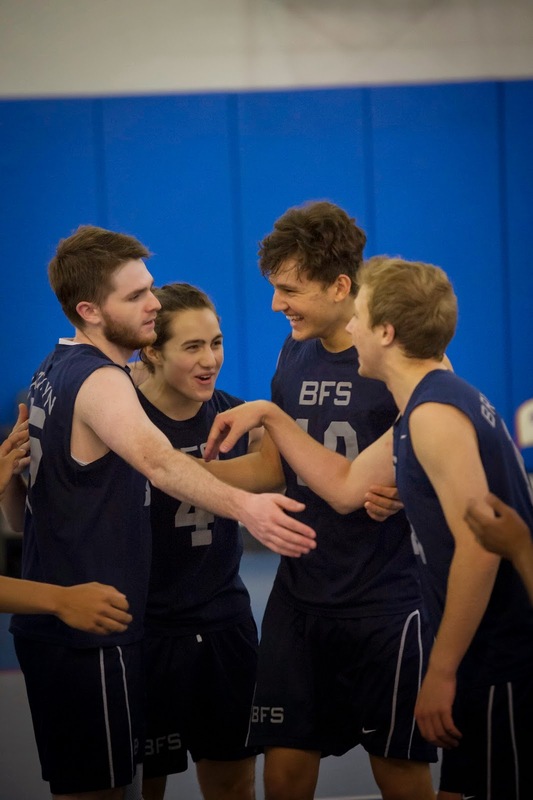 It was a difficult and unfortunate injury, not only for the team, but for Thomas who was competing in his last match as a BFS Volleyball Player. 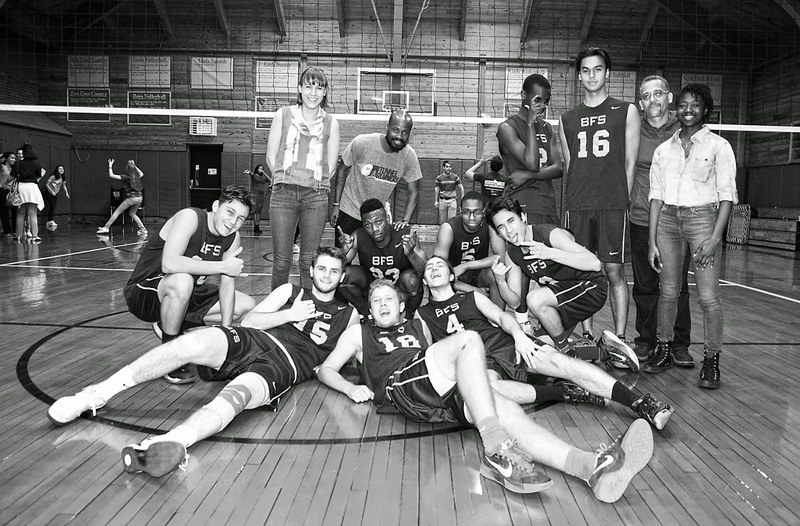 The Boys Volleyball Team team exists in part to Thomas’ overall commitment. The team fought hard and showed their pride throughout the match. Everyone gave all they had in trying to make up for Thomas’ absence. They remained united, committed, and determined throughout, unfortunately Packer played a better match. It was a great experience, and a great motivation to keep our program strong for the years to come. Next year, Tyler V., Chris B., Kamal G., Philip C., and Ernest M. will be ready to carry on the legacy created by our core seniors. Thanks to our tremendous seniors, Thomas, Lucas M., Griffin E., and Julien B. for all their efforts and hard work to build and make this program a reality for BFS. Blue Pride! !